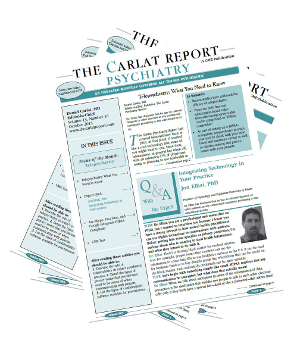 The Carlat Psychiatry Blog: Counter-detailing for Kevin, M.D. Michael Thase is second author on the Biological Psychiatry paper. Does that mean he's detailing AND counterdetailing (if indirectly)? Good point. Most of these authors have multiple industry disclosures. I think Thase is more interested in getting at the truth in the science than in making any particular company happy. Doing good work here. By the time this year is over, I sense novel antipsychotics like perphenazine and trifluorperazine, and old timers like Desipramine and imipramine will experience a resurgence. God knows that insurers see that these meds are $4RXs at wal mart/target, so why pay for what is not guaranteed as better. As they pull samples from clinics like mine, what other choices do we have in treating chronically ill people? In patient units need to know this stuff too. Based on the research you presented to the Nashua group, do you primarily rely on generically available SSRI's (citalopram, sertraline) over the likes of escitalopram, duloxetine, etc.? Is there an instance when escitalopram is actually favored over citalopram in your opinion? Al this stuff is very helpful to us when we teach residents. Please can we always use the generic names? Even in Canada, the marketed names are different, and I am sure they are more so in other parts of the world. So some of us have to work hard to understand what you are saying when you use trade names. Dan: Are you saying imipramine remains the gold standard for anti-depressants? Is there anyone past the first week of a med student rotation in psychiatry, anywhere on earth, for the past 50 years, that does not know that? Is it really necessary to travel that far to remind doctors of that? If the patient is doing well, life is lucrative and heavenly for the doctor. If the patient fails to respond to a treatment, life is penurious and hellish for the doctor. What drug company bribe can ever get a doctor to choose a treatment adverse to the interest of the patient, which is nearly the same as his? For presentations that are primarily depressive (with some anxiety thrown in) my first choice is bupropion (Wellbutrin). When the main symptom is constant anxiety or one of the DSM-4 anxiety disorders, my top three choices are, in roughly this order, sertraline (Zoloft), citalopram (Celexa), and escitalopram (Lexapro). Bear in mind that Forest submitted large trials to the FDA to get Lexapro approved for panic disorder and social anxiety disorder, but the FDA rejected both indications. This implies that Lexapro may be less effective than other SSRIs for anxiety disorders. It is approved for depression and generalized anxiety disorder, but GAD is seen by many as almost identical to depression, so is not really the same kind of "anxiety disorder" as panic, OCD, social anxiety disorder, etc.... Hope this helps! Is anyone having trouble getting the first 2 weblinks to open? I can't seem to get them to open on my end. Dr. C, could I get the article information for the Lexapro and Effexor articles? I appreciate that citalopram comes before escitalopram on your list for anxiety dominant disorders, but what is the rationale for this? To me, you are saying citalopram is your choice after citalopram fails...am I missing something? Mike: Yeah. You're missing something. Citalopram costs $4 for a month's supply at Walmart and Target. Escitalopram costs $4 for a day's supply. What the biased, left wing, Harvard indoctrinated doctor will not say is, the 15 cent pill is often garbage. It is of such low quality, so little will enter the body, some patients have gone into physical drug withdrawal after a Commie Care doctor or a Commie Care insurance company switched them to the 15 cent pill. This is more of a clinical experience issue. Sometimes, for whatever reason (and it may be placebo), patients respond better to Lexapro than Celexa, or, more commonly, they may experience sedation with Celexa but not when switched to Lexapro. While the pharmaceutical industry’s image and reputation, complicated with their declining profits for a few reasons have occurred recently, these companies still apparently insist keeping most of their gift givers on board. Known presently as simply drug reps, and it has become a vocation void of a sense of accomplishment for a few reasons as well. So they may be named in different ways, these promoters will be referred to as drug reps, which number close to 100,000 in the U.S. presently, it is believed. The cost of these employees is around 5 billion dollars a year for the pharmaceutical industry is a belief as well. Income for each rep grosses close to 100,000 grand a year on average, along with great benefits and a company car, along with stock options and working from their homes. 1. The doctors lose money. Doctors are normally busy, so their time is valuable. As a drug rep, you are a waste of their time. Yet they will accept your samples still. The credibility you possibly have as a rep is not considered anymore to be present in your vocation due to various controversies associated with the pharmaceutical industry. 2. Most drug reps in the U.S. are hired for their looks and their personality. As a result, many are somewhat ignorant in regards to anything that is clinically relevant to a medical practice, so doctors seem to know this and have responded in such ways. Most drug reps have college degrees that do not correlate with their profession as a drug rep, which is to say that the clinical training of drug reps is limited. In fact, an act is being considered presently called the SafeRx Act to have the government certify drug reps for such reasons- with a main reason being personal accountability for their tactics and statements, I believe, to ensure the safety and quality of the health care system. 4. Another issue is what is referred to as data mining. 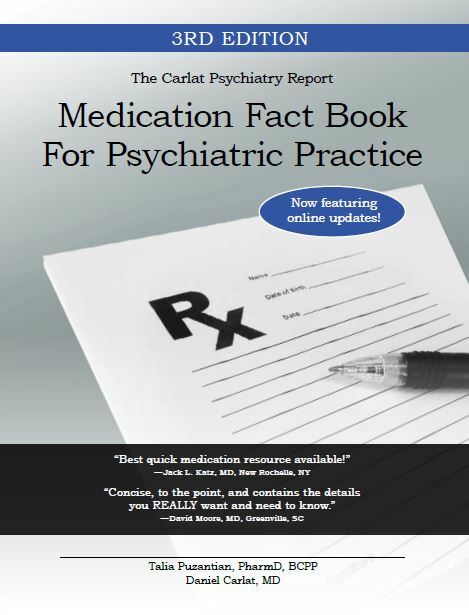 The American Medical Association sells this prescribing data on individual doctors to pharmaceutical companies, which allows them to track the scripts a doctor writes, and the data is free of the patient names. Yet the names the products prescribed are well illustrated and available to the drug reps. This allows reps to tailor their tactical approach with any given doctor, if they see the doctor at all during an office visit. Worse yet, doctors who greatly support the promoted products determined by this data allow reps to reward those doctors who favor the rep’s products that they promote, and this could be considered a form of quid pro quo. Laws are being considered presently to prevent this practice of allowing reps to have this data. Doctors are opposed to the data the reps have as well about them for privacy and deceptive reasons, so they say. 5. Overall, reps can be best described as far as their function goes with their profession is to whenever possible manipulate doctors with remuneration or other forms of inducements, as they also continue to sample such doctors along with others their promoted meds. Also, frequent lunches are in fact bought often for doctors’ offices and their staff as a method of access, primarily, as stated earlier with the money reps spend earlier for this type of function. Essentially, because of the income and benefits the drug reps receive that they would likely not be able to obtain with any other job, they are compelled to do such unethical tactics mentioned earlier that they perhaps normally would not do in another setting, and these drug reps rarely refuse to implement such tactics encouraged to them by their employers. 6. Samples keep the prescriber from selecting what may be their preferred choice of med due to cost savings from samples left with a medical office by a drug rep. In addition, doctors are now being paid by prescription providers, which are called pharmacy benefit managers (PBMs) that are typically owned by a managed care company to have a doctor switch their patients to generic substitutes, if they exist, and this is often not disclosed to such patients. Apparently, these PBM companies are doing this in response to the activities of the branded drug companies, as they continue pay doctors often for various reasons. 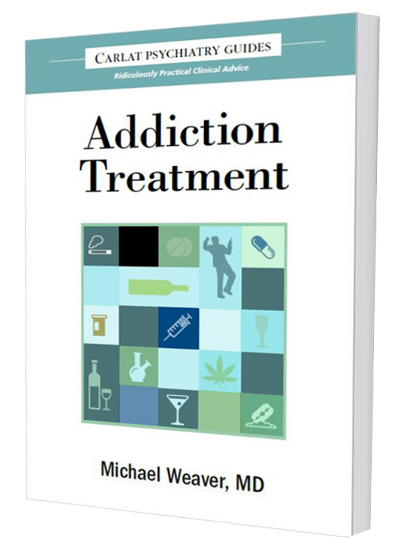 It is likely that most drug reps are good and intelligent people who unfortunately are coerced to do things that may be considered corruptive to others in order to maintain their employment, ultimately. It seems that external regulation is necessary to prevent the drug companies from allowing the autonomy and encouragement that forces the reps to do the wrong thing for the medical community, possibly. Clearly, greed has replaced ethics with this element of the health care system, which is the pharmaceutical industry, as illustrated with what occurs within these companies. However, reversing this misguided focus of drug companies is not impossible if the right action is taken for the benefit of public health. Likely, if there are no drug reps, there is no one to employ such tactics mentioned earlier. Because authentically educating doctors does not appear to be the reason for their vocation. Having just caught up with Dr. Carlat's counter-detailing atonement project via his new work with the Pew Prescription Project, I wanted to ask, how did it go? I see one well-publicized visit to Kevin, M.D. How many doctors did you get to see, Dr. Carlat? How were you received? Did you show each the same "evidence"? Being that it's 2012, I was also curious about what kind of "evidence" you might be able to supply to support "evidence-based medicine" in psychiatry. I see you have looked at some comparative studies of antidepressants. Yes, it's true the benefits for the patent-extenders were exaggerated to spur sales. However, comparing efficacy of Effexor XR to Paxil is a garbage-in, garbage-out proposition. Efficacy for Paxil is equally fictitious. Irving Kirsch's research suggests no antidepressant is as effective as claimed, and as a class they fail to beat placebo in all but a very small subset of patients. Twenty years of accumulated "evidence" for "evidence-based medicine" in psychiatry is, effectively, a pile of ordure. The field badly needs someone to suss out whatever valid nuggets there might be in that pile. Recommending Paxil over Effexor XR is not one of those nuggets. It also completely disregards what is the very serious adverse effect profile of Paxil, readily apparent now but also evident in the literature prior to 2008. Yes, the information detailed to doctors is terribly compromised, and Lexapro, Cymbalta, and Effexor XR don't deserve their sales, but compiling an evidence base for psychiatric medications still has a long, long, long way to go. In the service of vastly inflating the reputation of these drugs, the thoroughly compromised "evidence" also vastly understates adverse effects. Tracking of adverse effects, which represent actual injury to patients from all of this manure-like evidence, is almost non-existent. As near as I can tell, factoring in the underestimation of adverse effects for drugs such as Paxil plays no part in your treatment recommendations.